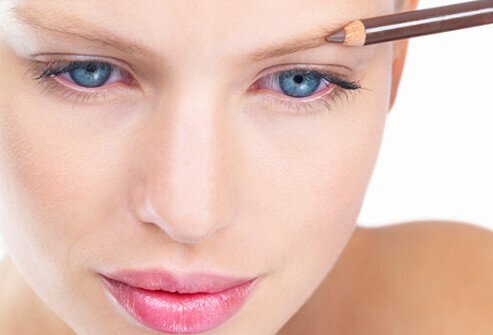 Most cosmetics are safe if you use them correctly, but there are some areas in which you should exercise caution. 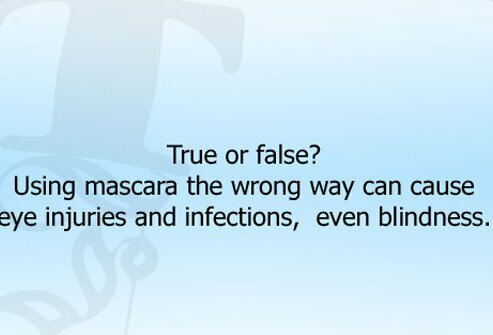 Check out our special "true or false" quiz and find out how much you really know about the safe use of cosmetics! 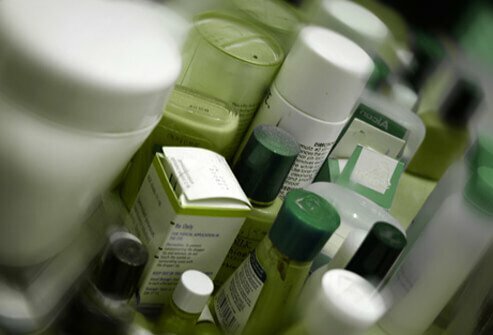 The FDA must approve all cosmetics before they go on the market. 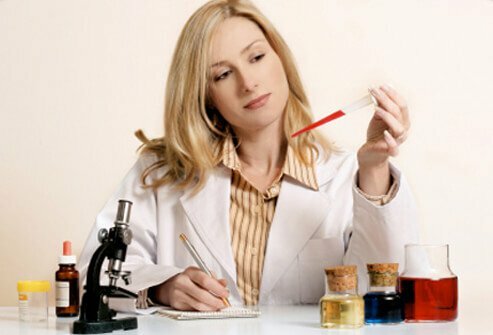 A few known toxic or poisonous substances are not allowed to be used in cosmetics (such as mercury or vinyl chloride). All color additives must be approved for their intended use. For example, a particular color additive may only be used in an eye shadow if it is approved for cosmetic use, including in the area of the eyes. Many colors even have to be "certified" by the FDA. That means that samples from each batch must pass special testing for purity in the FDA's own labs before they may be used. Using mascara the wrong way can cause eye injuries and infections, even blindness. Never apply mascara in a car, bus, plane, or any other moving vehicle. It's easy to scratch your eye if you hit a bump or come to a sudden stop. If mascara gets dried up, don't add water or - even worse - (yuck) spit into it to moisten it. This can add germs that may grow and cause an infection. As mascara gets old, it is more likely to have germs growing in it. Throw it out after three months. Don't share mascara - not even with your best friend. You might be sharing germs that way. Remove all mascara, and any other make-up, before you go to bed. Bits of mascara can flake into your eyes and cause an infection. 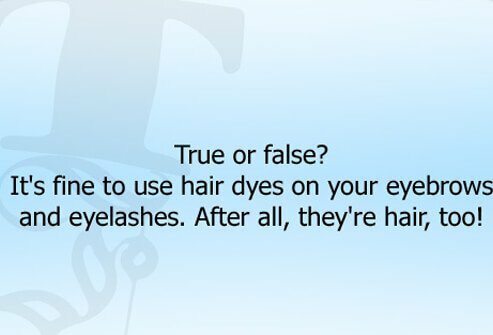 It's fine to use hair dyes on your eyebrows and eyelashes. After all, they're hair, too! Never use hair dyes on the eyebrows and eyelashes. Doing this can cause eye damage. There are approved, safe colors for mascara and eyebrow pencils, but no hair dyes are approved for tinting or dyeing the eyebrows or eyelashes. 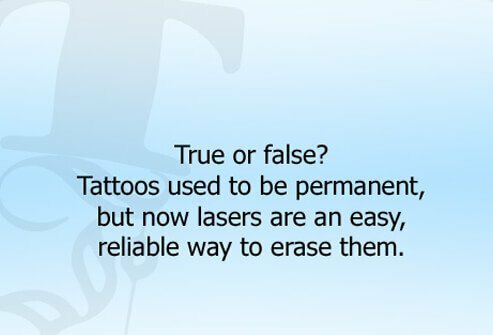 Tattoos used to be permanent, but now lasers are an easy, reliable way to erase them. Lasers have made it easier to lighten tattoos, but it's not as easy or as reliable as many people think. Lightening a tattoo generally takes several treatments and is expensive. Many tattoos can be lightened until they are much less noticeable, but usually a trace of the tattoo remains. Also, some tattoo colors are harder to remove than others. Laser treatments can turn some tattoos darker instead of lighter, or change them to a different color. The same goes for "permanent makeup," which is a kind of tattoo. It depends on what ingredients went into the tattoo ink to produce the color. The U.S. FDA has not approved any color additives for injection into your skin. People who get a tattoo should not give blood for a year afterward because of the chance of infection from the tattooing procedure. Although it happens only rarely, some people may have an allergic reaction to the dyes used for tattooing. Imagine being allergic to something that's been injected into your skin. Or, the tattooist may make a mistake. Who wants to wear someone else's mistake forever? Although many "temporary tattoos" are legal, some -- especially some of those imported from other countries -- are illegal in the United States because they use color additives that are not approved for use on the skin. The FDA has received reports of people having allergic reactions to temporary tattoos. 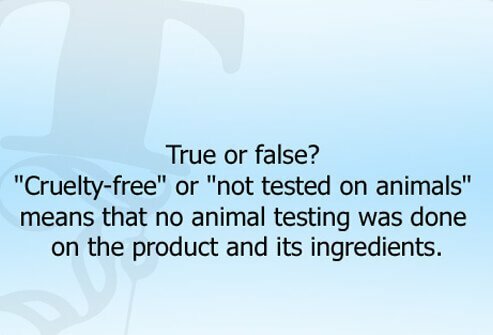 "Cruelty free" or "not tested in animals" means that no animal testing was done on the product and its ingredients. Even if a product never was tested on animals, there's a very good chance its ingredients were. A company might call its products "cruelty-free" because it isn't doing any animal testing on the finished product now, although its ingredients may have been tested on animals in the past. 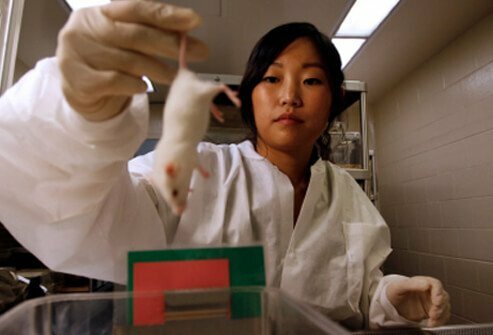 In some cases, "no new animal testing" or "finished product not tested in animals" might be a more accurate claim. Remember, poison ivy is all natural, too! But you probably don't want it on your skin. 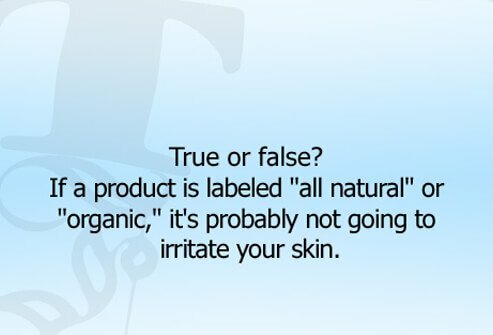 It is very possible to have an allergic reaction, or other irritation, from products labeled "all natural" or "organic." For example, lanolin, from sheep's wool, is a common natural ingredient in some moisturizers that sometimes causes allergic reactions. 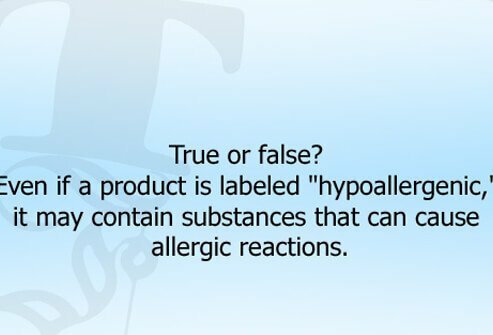 Even if a product is labeled "hypoallergenic," it may contain substances that can cause allergic reactions. After all, people are different and there's no telling what any individual may be allergic to. 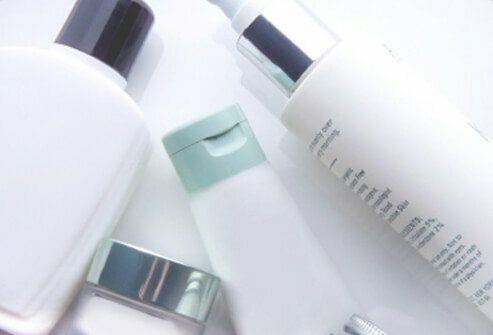 According to the cosmetic industry, "hypoallergenic" means "less likely to cause an allergic reaction." But dermatologists -- and consumers who have allergies -- know that the word "hypoallergenic" on the label is no guarantee against an allergic reaction. There is also no FDA regulation or accepted definition of the term "hypoallergenic," so companies can choose to label any product they choose as hypoallergenic. 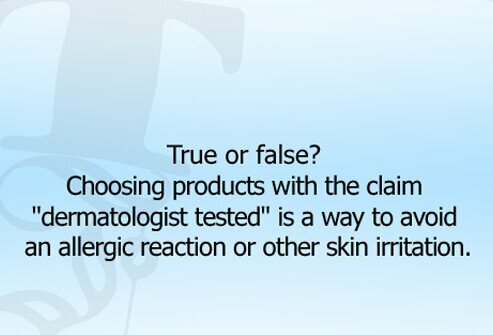 Choosing products with the claim "dermatologist tested" is a way to avoid an allergic reaction or other skin irritation. Did the dermatologist work for the manufacturer? What types of tests were done? Extensive controlled studies or simply observing a few patients trying the product? How many people was the product tested on? How long did the testing last? What were the results of the testing? 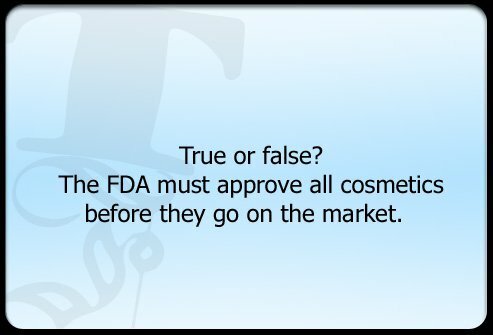 Food and Drug Administration: True or False: How Smart are You About Cosmetics?